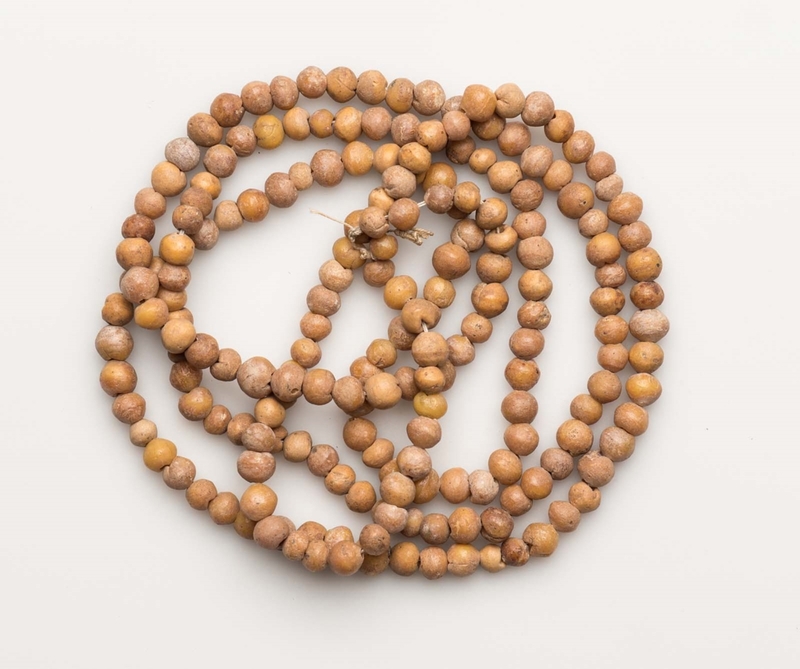 This is a string of one hundred and ninety-eight yellow/brown glass ball beads and three fragments of ball beads. Field #29-11-222; c.f. 31.866. Findspot Information: From Egypt, Giza: Pit G 7757 A, (tomb of Kheperre) debris of Room III. 1929: Excavated by the Harvard University–Museum of Fine Arts Expedition; assigned to the MFA by the government of Egypt.